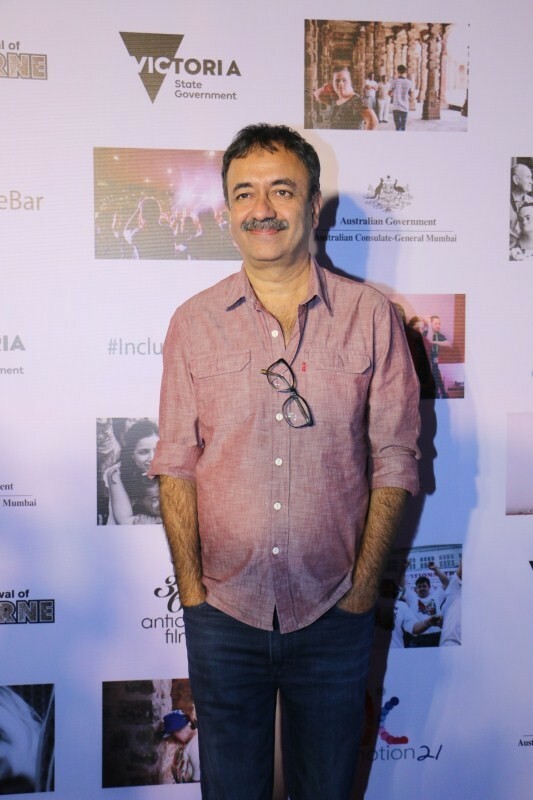 Rajkumar Hirani spotted at Raising the Bar special screening in Delhi. The film's screening in Mumbai saw an array of faces from the entertainment business who came in support of the film including ace filmmaker Rajkumar Hirani, actors Tanishtha Chaterjee, Shreyas Tapade, Rasika Dugal, Sohail Khan, Sanjay Suri, Nidhi Singh, Isha Talwar and others. Helmed by National Award winning director, Onir 'Raising The Bar' is a 70 minute documentary which has won several awards internationally and has just now has its India premiere last evening in Mumbai, immediately after the screening held in Delhi earlier this week. Onir and Mitu Bhowmick Lange with the kids from the documentary film Raising the Bar. Mitu Bhowmick Lange, Roshan Abbas and Onir with the kids from the documentary film Raising the Bar. Sohail Khan spotted at Raising the Bar special screening in Delhi. Shreyas Talpade spotted at Raising the Bar special screening in Delhi. Sanjay Suri spotted at Raising the Bar special screening in Delhi. Rohit Verma spotted at Raising the Bar special screening in Delhi. Rasika Dugal spotted at Raising the Bar special screening in Delhi. Parmeet Sethi and Archana Puran Singh spotted at Raising the Bar special screening in Delhi. Onir spotted at Raising the Bar special screening in Delhi. Nidhi Singh spotted at Raising the Bar special screening in Delhi. Mini Mathur spotted at Raising the Bar special screening in Delhi.